When it comes to cloud computing, service level agreements (SLA) act as both the structure and warranty of the terms of the relationship between the consumer and provider. SLAs that are tailored toward services in the cloud often include information that differs from other agreements of the same stature. 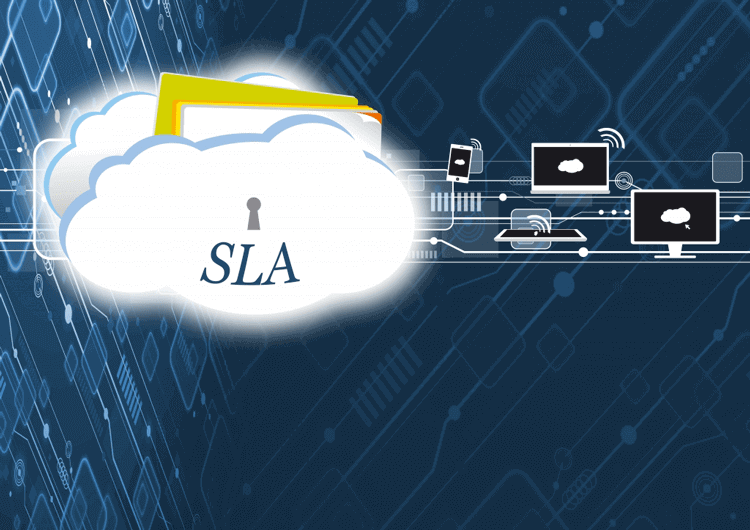 Outlined in an article by Thomas Trappler, one of the main differences for cloud SLAs is that the particular institution requesting service assumes ownership of the data that it would be storing on the service provider's system. Also from the above article, another element which is considered standard among other SLAs, though seen as integral in one geared toward services in the cloud, is concise detail of the system infrastructure and security standards to be managed by the service provider. As a Wired article explains, the online world poses many challenges and uncertainties in the form of cyber attacks and privacy. Ensuring that a strong set of ground rules is in place from the start, whether it be through a service level agreement or similar, is important to avoid future questions or issues. Areas of coverage should also include availability, performance, security/privacy, as well as location, portability and accessibility of the data. It is important to read the cloud provider's service level agreement with great detail. Having technical staff review potential outage situations and compare it to covered situations outlined in the particular SLA is also good organizational practice. The cloud crosses international borders, so potential issues and rules can differ from services rendered locally. It is best practice to secure important guidelines tailored toward the cloud. With many businesses depending on computing services for their daily operations, it is key for service level agreements to differentiate themselves when it concerns cloud services as opposed to other types of services.